Using old paint is fine if the paint has not ruined in storage. Can you use old paint if it has frozen or 'turned'? No but sometimes we do resurrect paint. A reader wrote in and asked, “Can you use old paint?” In general yes if it is still in a good state. 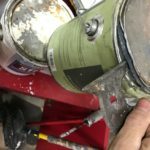 Inside the paint can, is there any mold/mildew? (You’ll know from that funky smell). Has the paint begun to dry up? (If it sloshes like liquid, it might be ok, but might not). Did you fail the test? Then read how to get rid of expired paint, below. Did you pass? Next, we show you how to strain paint for use. Usually, you will need to strain the chips out. How Long is Paint Good For? Until Hell Freezes Over! Can You Use Exterior Paint Inside? Be Careful Here! 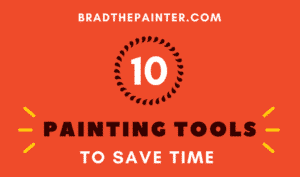 Be sure to read our complete list of every painting tool you could ever need. Can You Use Old Paint? If you made it this far, yes, use your old paint! Ready? How to use old paint: We are going to make it like new. Without shaking, open the paint can. What is it like inside? If it’s just some dried chips around the edges it’s generally ok. These chips will get into your new project…but it is simple to strain the chips out. To strain paint without buying anything, you can use an old nylon sock or ladies’ stockings. These strain very slowly but do work. We buy the large bag paint strainers (they do 5-gallons or less) and if we only used them for latex, we wash them and re-use many times. They are not expensive. Don’t let them dry up. Once you strain your paint, you can have a paint store shake it for free, as long as your old can isn’t rusty. If it is, just get a new empty can. The same is true if you have a mangled lid (see photo below). Tip: Use a marker to label in several places, not just the lid! Can I use old paint if it has mold growing in it? If you do, you will grow toxic mold wherever you apply it, so again, the answer is no if it’s a moldy oldie. Sorry to be so negative. Mold is unworkable: see below how to dispose of a can of paint legally. The shelf life of paint can be very long and using old paint is a money-smart idea. The key is to protect from freezing. Old paints had an antifreeze with VOC added that is unhealthy so it was removed. So modern paints freeze more quickly. Your garage probably is ok if it’s attached to your house. One big tip for not splattering paint all over: if you have paint in the lid gullet (the valley the lid wedges into), place a rag over the lid before you hammer it closed. The splatter will go into the rag. Most laws forbid liquid paints to be placed into the garbage, for good reason. Don’t get a ticket!Dump a packet of this powder into a gallonand it dries right up. Paint can be good for years and years. The bigger question is: what is stored properly and protected from freezing? Older paints stay liquid for a few hours below freezing (they have the old toxic VOC glycol anti-freeze). Modern paints freeze easily, but most attached garages don’t freeze. How can I tell if my paint has frozen? It will look like cottage cheese, only it will be Navy Blue cheese. Read below how to dispose of it legally. Remember, Big Brother is going through your trash. Does paint go bad? Yes, because mold can grow inside. Some paints such as the better bathroom paints have mildew-cides in the mix, which retards this. How do I know if the paint is bad? You’ll know, believe me. If your nose does not work, find a nose that does. If the it doesn’t smell like paint, it’s the mold talking. We use this powder to dry up paint for legal disposal. (Most towns give tickets if you put any liquid paint int he trash! This lid would not come off so we’ll make a hole and drain it into a new can! So there is nothing wrong with using old paint because the shelf life of paint is extremely long if you stored it properly. Note: some paints today are sold in plastic cans. Plastic is not air-tight. They slowly allow evaporation. You can see this in the reduced shelf life of paint in these cans. Read about why you should not use old exterior paints inside your home (there is a big difference between interior and exterior paint for reasons of temperature: exterior paints must flex). This post is about old latex paints, but a note on oil-based paints: they last a very long time even if air gets into the can. They form a ‘skin’ on the top of the liquid which actually tends to protect the liquid below (but the formula is altered by this). Pull the skin aside, and pour! Always wear a respirator when working around oils: they contain cancer-causing agents. Did we leave anything out? Let us know in the comments! Would you like us to create a post on paint storage? 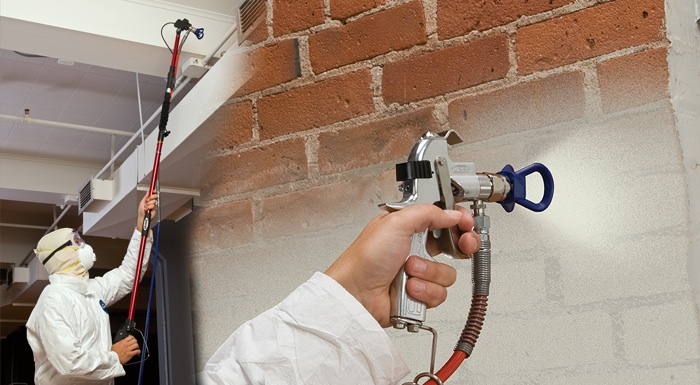 We’ve been asked how long does paint last, and does paint go bad? If you understand the storage tips above, how long does paint last in a can depends on the details. 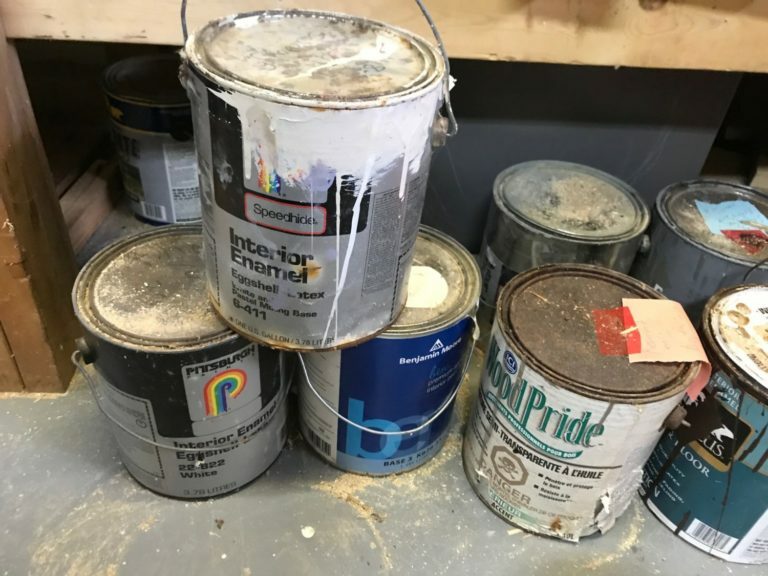 Does paint go bad in a bucket such as the 5-gallon pails you see in stores? Again, plastic does breathe. We have purchased these pails from long term paint storage at low-cost and they all had to be strained as they had coagulated somewhat.